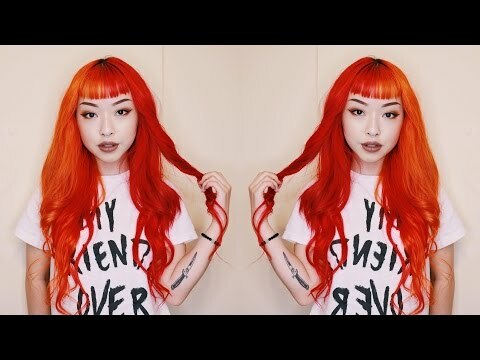 Have you decided you want to try orange hair dye? 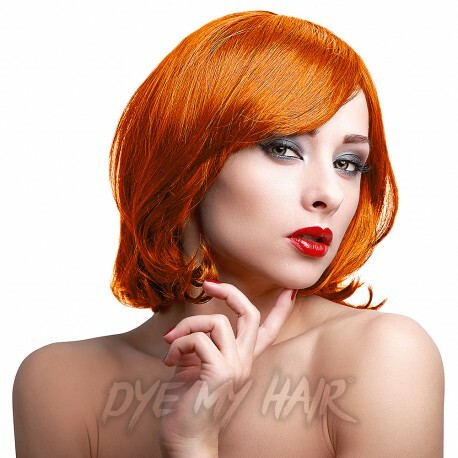 That’s great, you are definitely in safe hands with Dye My Hair but have you considered which shade of orange will suit you best or help you achieve the perfect style for your fashion sense? 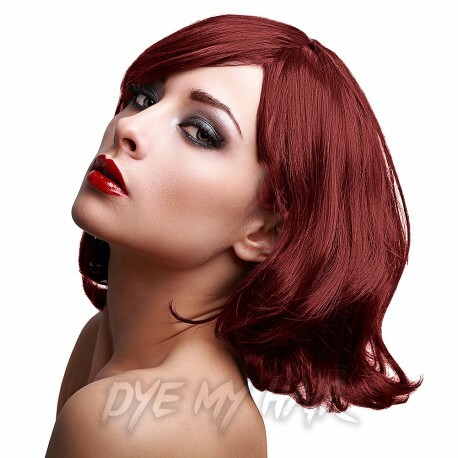 The most common type of hair dye we sell is semi-permanent. 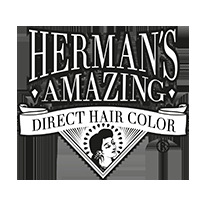 It lasts for the perfect amount of time to enjoy a vibrant new color without damaging your hair. With any lighter shade, such as orange you are going to need to bleach your hair before you apply the dye unless you naturally have a very light hair color. We also recommend using toner to neutralise any unwanted tones. Orange is notoriously difficult to get right but with an application of toner, you shouldn’t have any trouble. Our first shade of orange hair dye is bright orange. 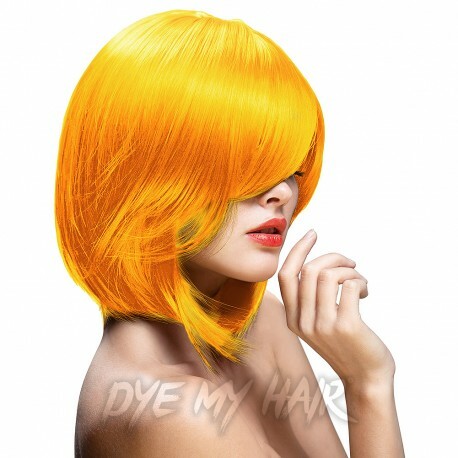 This vibrant shade is the most unnatural type of orange but is sure to look awesome with your alternative fashion style. This color will make your friends say Wow! and is sure to give your look that unique edge. 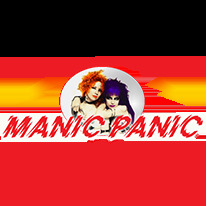 To achieve this shade it is definitely worth looking at orange hair dye Manic Panic. 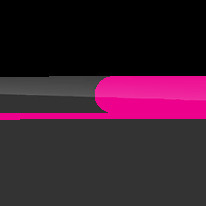 This brand is well known for its High Voltage range, which provides a vibrant color that is sure to last. Want to tone down a bright orange hair dye? 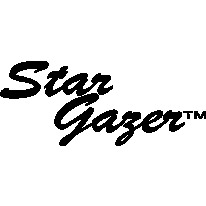 Simply add some pastelizer to create a softer tone. Alternatively, you could start with a light shade such as Apricot orange hair dye Directions. 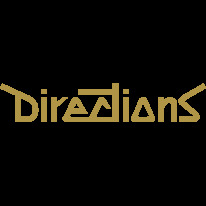 This La Riche Directions color is a yellow tone with hints of orange. If you are looking for a more natural shade of orange then it might be ginger that you are searching for. This much stigmatised hair color is now becoming recognised for its beauty. And we say about time too! We love this color and think more people should have a go with ginger hair dye. Even if you don’t want orange hair dye permanent this is definitely a shade that is worth trying at least once. For this shade, Paintglow provides some of the best natural shades. 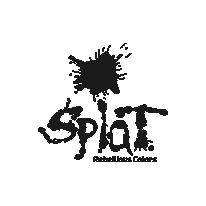 Try out Paintglow Orange Thunder Rebellious Semi-Permanent Hair Dye or Paintglow Resurrection Red Rebellious Semi-Permanent Hair Dye. Now we are moving on to the darker end of the spectrum. Copper colored hair is enjoying the limelight at the moment thanks to the craze for rose gold hair. This shade blends orange and brown to create a glorious autumn glow. It looks great all year round and is sure to refresh your look. If you want to try this shade for just a couple of days then take a look at the orange hair dye temporary. 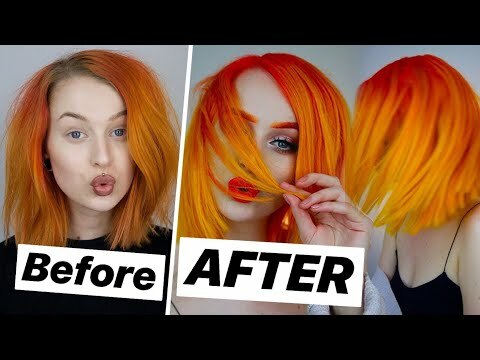 The Manic Panic Electric Lava Orange Temporary Color Hair Styling Gel and the Paintglow Orange UV Temporary Hair Chalk are perfect for blending with your brown hair for a subtle color highlight. Want to enjoy orange hair dye for dark hair without having to bleach your hair? We understand that sometimes you want to skip the bleaching process to preserve the health of your hair. While the color results may vary, a dark orange hair dye is a fairly safe bet when it comes to dyeing darker colors. This will blend with your naturally dark shade, creating an orange hue to your locks. 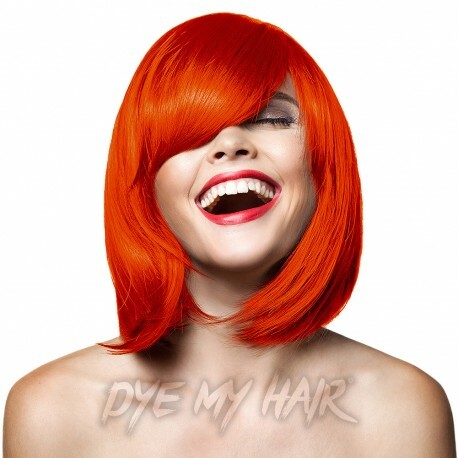 Here at Dye My Hair, you can enjoy shopping for orange hair dye UK and beyond. 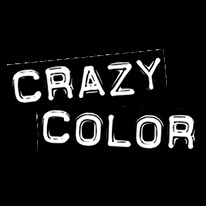 With plenty of shipping options, you can enjoy color changing fun from a range of countries. Have you settled on a shade of orange to try? Why not share a picture on our Facebook, Twitter or Instagram page when your orange hair dye transformation is complete?